Red flag for possible Learning Disabilities. Teachers should be the first to notice when something is not quite on par. However, when parents know what to look for, possible problems can be identified and dealt with sooner. Generally, early detection of ADD/ADHD is difficult because we often find it hard to distinguish normal boisterous, inattentive and uninhibited behavior from behavior that is abnormal or symptomatic of ADD/ADHD. 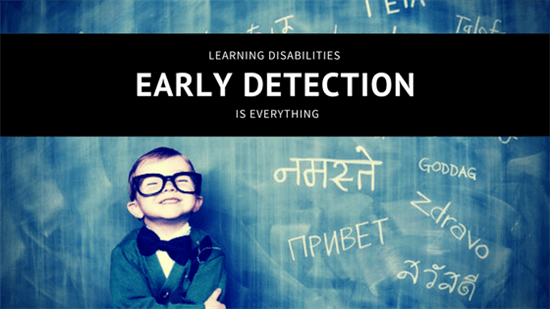 Early identification of any learning problems and subsequent intervention can make a huge difference in the life of the child and their family. Early intervention is linked to more positive social and behavioral adaptation, smaller gaps in cognitive and chronological age, and reduced manifestations of co-existing learning difficulties. Diagnosis before the age of four is very risky and can often be pre-mature. Pre-primary teachers and parents of pre-school children should be on the lookout for signs of delayed development or risk of learning difficulties, such as the ones listed below. ADHD is more than just an inability to sit still. Often there are delays in speech-language, motor-skills and/or academic readiness. This will also manifest as an inability to remember ABC’s, numbers, shape, and letter-sound associations. The Brain Gain Concentration Program is a fun, non-invasive program designed to help children from age four and older to over-come concentration issues. There are no medications, no side effects and homework to follow with the Brain Gain Program. We use conditioning Brain Training, that helps a child concentrate optimally for longer. Once the conditioning has taken place, the effects of the Training program should continuously improve as your child becomes older. For 6-year olds (Grade R’s) a School Readiness assessment is available that assess if the basic requirements for academic readiness is evaluated as well as your child’s concentration. If this assessment is done mid-year, it gives you the added advantage of having time for intervention to take effect before your child has to go to Gr 1. With Brain Gain, intervention would include a concentration-training program.